Each test event takes much planning and organisation so we limit the numbers our volunteers undertake and keep our activities within Dorset, Hampshire and Sussex. Dates are usually, but not exclusively, in Spring and Autumn. Scroll down for more details of the test. Bookings generally open around one month before the event. 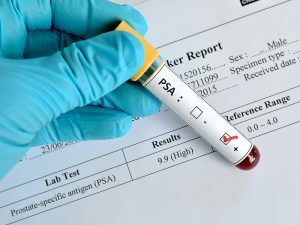 In 2018 calendar year, across Sussex, Hampshire and Dorset, PCaSO held 23 free PSA testing events, two more than last year. However, we tested 4,813 men, about 80% more than last year. We think the increase is because of greater publicity of prostate cancer and the need for early testing, largely because of the news coverage surrounding Stephen Fry and Bill Turnbull speaking of their experiences. We found found 359 men with a raised PSA number, about 7.5% of those tested. Those men with a raised number were recommended to see their GP to discuss their result. PLEASE DO NOT CALL ABOUT BOOKINGS FOR AN EVENT THAT DOES NOT YET HAVE A PHONE NUMBER AGAINST IT. SPECIAL PAPERWORK IS RAISED FOR EACH EVENT AS PART OF THE PLANNING AND THE VOLUNTEER CANNOT ‘TAKE A NUMBER’ OR ‘MAKE A NOTE’ FOR SOMETHING MONTHS AHEAD HE MAY NOT BE INVOLVED IN! Book Online here fill out a form and save time on the day! 27th April – Southbourne, Bournemouth. The eight-minute video you’ll see here was made by Clearwater Photography illustrating a PSA testing event held by Fleet Lions in 2016. The difference between this event and current practice by both PCaSO and Fleet Lions is that now time slots MUST be booked in advance so there is no long queue outside. Pay particular attention as retired urologist David Baxter-Smith explains the pros and cons of the PSA test. PCaSO uses his services, among other urologists, to oversee the test results. PCaSO will give you a leaflet at the test event giving information about the test and there will also be a PCaSO volunteer on hand to give a short talk or to answer questions before having the test. 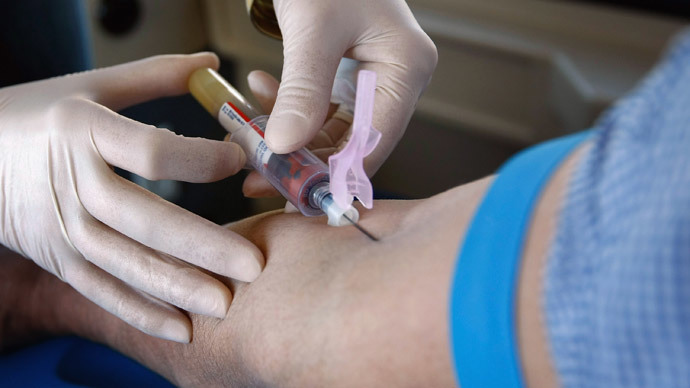 The PSA test checks a sample of blood for the Prostate Specific Antigen protein which is produced by the prostate gland. The test does NOT diagnose cancer. A raised reading may indicate that there are problems with the prostate gland which might be infected or enlarged – as often happens with older men. Or it might be cancer. A raised reading means that further checks might be necessary and we suggest that men with a raised reading visit their doctor to discuss matters. The test is not completely reliable as it can give a raised reading when there is no cancer – as above – but can also give a normal reading when cancer is present. BUT it is the only quick and easy test available. prostate cancer, together with all men of Afro-Caribbean ancestry, are of increased risk and should be tested at 45 or earlier. It is also believed that breast cancer in the family may also increase the chances. The NHS says that any man over 50 is ENTITLED to the PSA test free on the NHS once the pros and cons of the test have been explained. The blood is taken in a vial by trained phlebotomists just like a hospital or surgery. 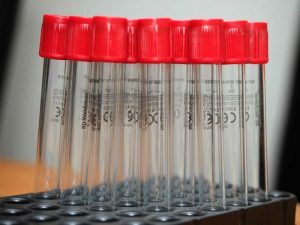 The vial is taken to a laboratory, often the local hospital, where it is analysed by professionals exactly the same way as any other blood sample. The result is posted to the man with the suggestion that they have another test after a suitable period or, in around 10 per cent of cases, they go to consult a doctor. At no time does PCaSO or anyone involved with the testing claim to diagnose cancer or any other ailment. That is the job of the doctor. New figures – published by PCUK in Feb 2018 – reveal that for the first time more men died from prostate cancer than women died from breast cancer. Using data from 2015, the latest available, 11,819 men died from prostate cancer in the UK, compared to 11,442 women dying from breast cancer. It means the male-only disease is now the third most common cancer to die from, after lung and bowel cancer. Since 1999, the number of women dying from breast cancer has been steadily decreasing, while prostate cancer deaths are still on the rise. During that time, breast cancer has benefitted from a screening programme, significant investments in research and more than double the number of published studies compared to ones for prostate cancer. Despite the alarming figures, the prospects for men with prostate cancer are actually better than ever, with men diagnosed today two-and-a-half times more likely to live for 10 years or more than if they were diagnosed in 1990. Yet due mainly to an increasing and ageing population, the number of men dying from the disease is growing. 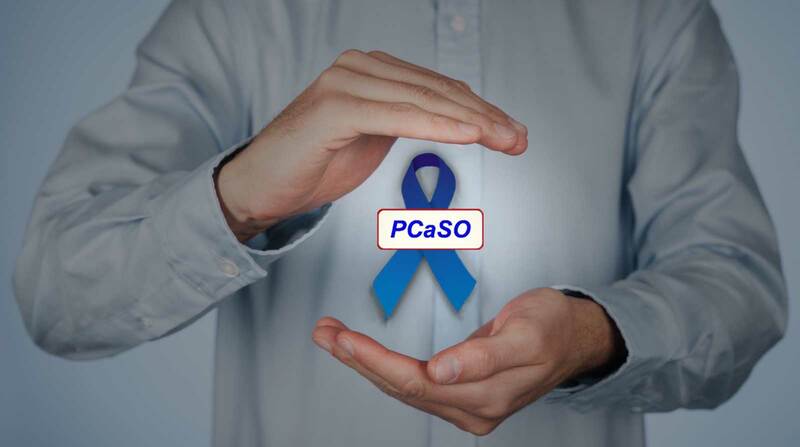 Since the NHS won’t bring in a screening programme, PCaSO, with other support groups around the country, will do our best to provide a service.